April Live Period brought with it the new Adidas Gauntlet, a highly competitive league comprised of 33 of the top AAU teams in the nation. 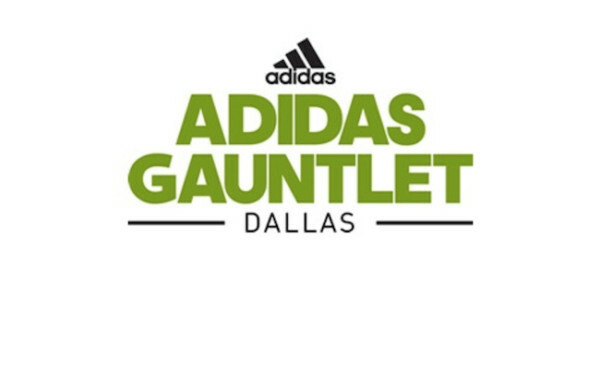 The first stop on the circuit was Adidas Gauntlet Dallas, where a number of HEA alumni participated in the event with both the 17U and 16U Mass Rivals teams. Mass Rivals 17U dominated the competition finishing undefeated with a 5-0 record, while the 16U Mass Rivals finished 1-2. Lets take a look at how each of our alumni played at the event. Chris Baldwin started all 5 games for the 17U squad, averaging 5 points, 4 rebounds, and 1 block per game, while shooting an efficient 50% from the field. Baldwin was active throughout the event, including some impressive finishes above the rim. The 6’8″ forward had his most impressive game against the Milwaukee Running Rebels, when he finished with 8 points, 8 rebounds, 3 blocks, and 1 steal. Baldwin received interest from Eastern Carolina, Wake Forest, West Virginia, and UMass per his coach. Justin Stewart saw action in all 5 games for the 17U squad, averaging 4 points a game, while shooting an efficient 60% from the field, 50% from beyond the arc, and 90% from the free throw line. Stewart had his best game statistically against the Michigan Mustangs, when he finished with 9 points, going a perfect 7-7 from the free throw line. Tyonne Malone and Eric D’Aguanno both had strong showings on the 16U level with the Mass Rivals. Malone is a 6’5″ guard who is at his best slashing to the rim, is expected to join the 17U squad on the next Adidas Gauntlet stop. D’Aguanno is a 6’4″ guard who can space the floor with his ability to knockdown shots with range.